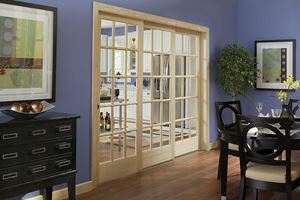 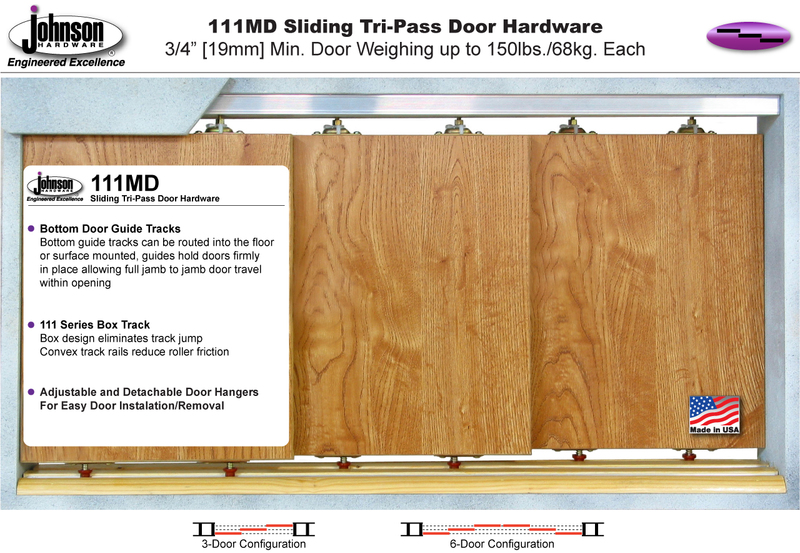 The 111MD is one of the finest medium duty sliding door systems made. 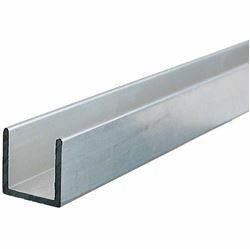 Ideal for residential/ commercial applications where quality, trouble-free operation and long life is a necessity. 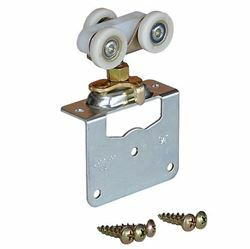 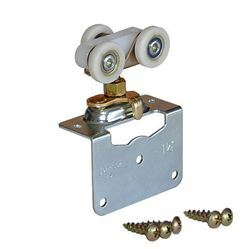 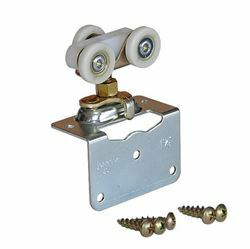 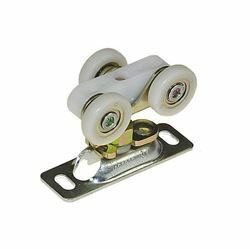 The heavy gauge 6063T6 precision extruded aluminum track with convex rails is made to the most precise specification, with guaranteed jump proof smooth rolling tricycle ball bearing hangers.14 – 16 gauge zinc trivalent plated steel parts. 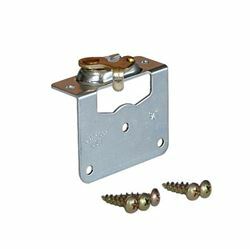 Sliding Door Hardware Sets for standard door/opening widths. 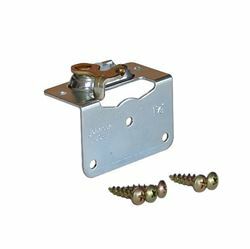 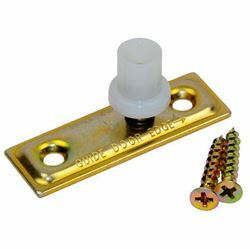 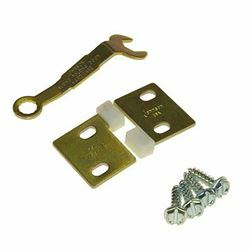 Sets include all necessary hardware for 3-door multi-pass installations. 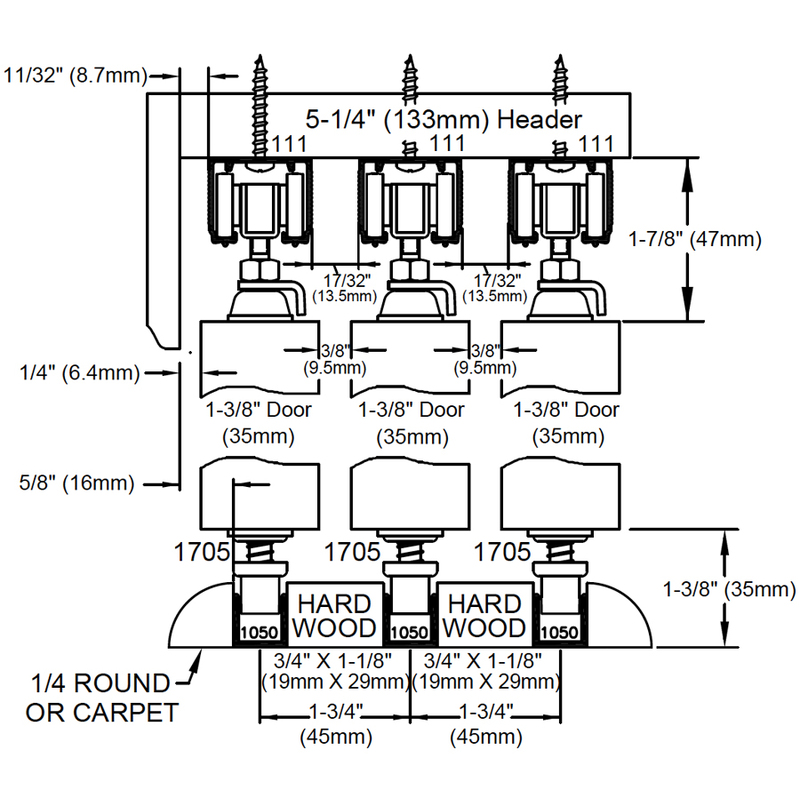 Track can be cut down to accommodate narrower door/openings. 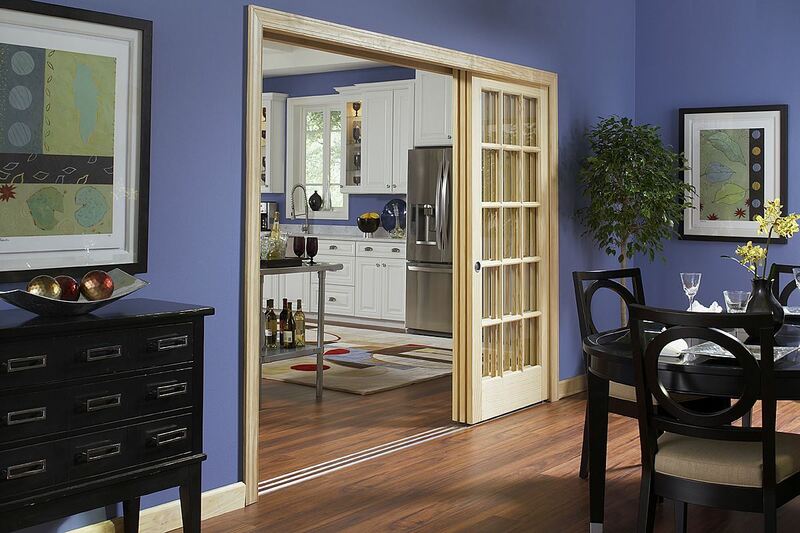 Doors overlap 1' [25mm] when in closed position. 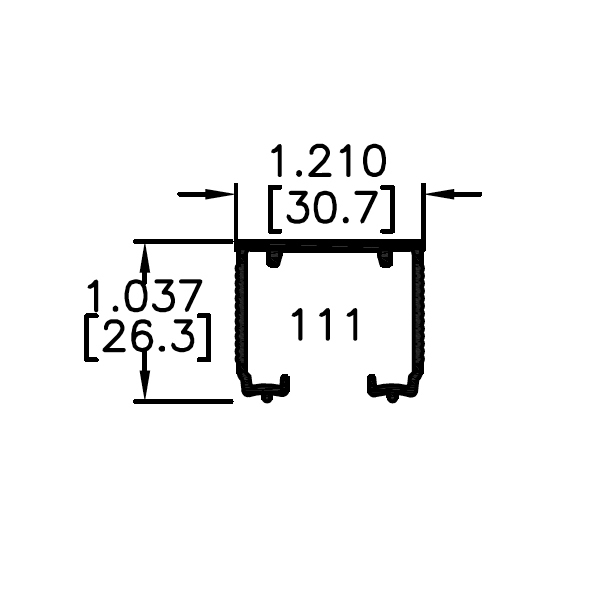 Net opening with = 3 x door width -2" [50mm]. 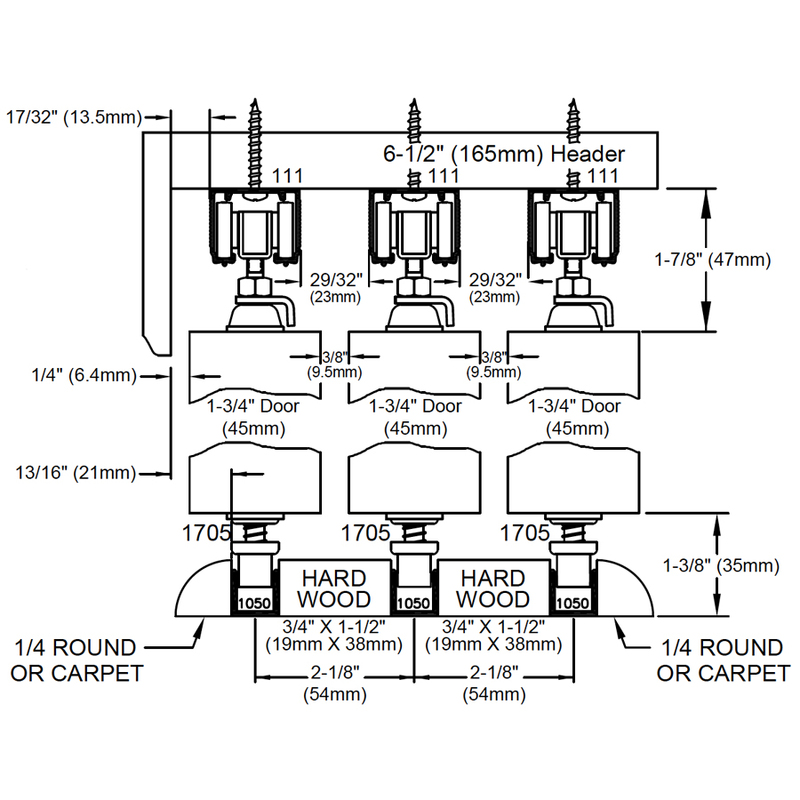 Custom 111MD configurations possible by ordering 111MD components by the piece. 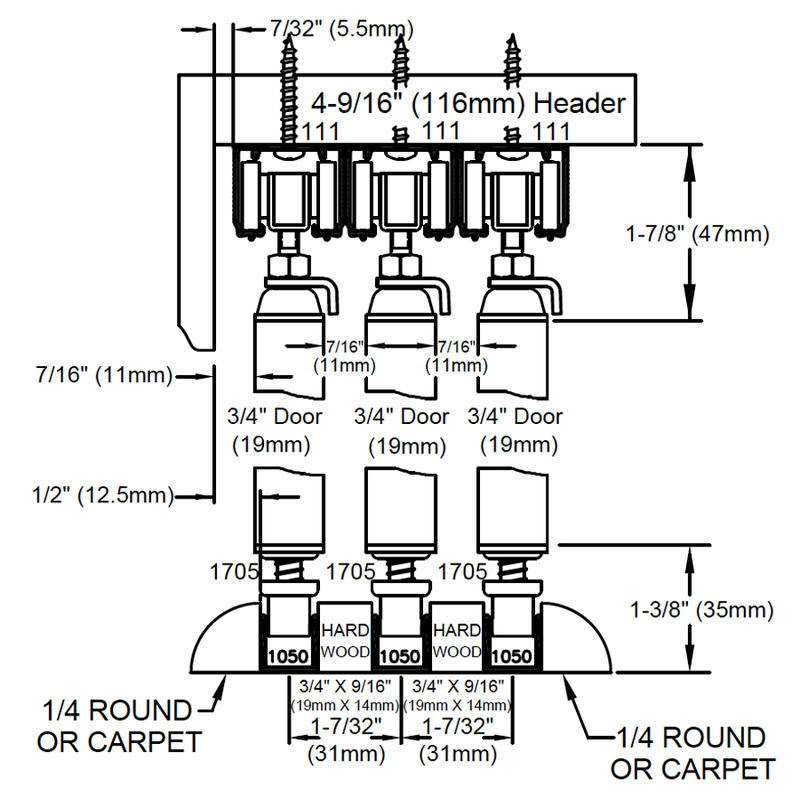 Select a hardware set part number with track length that accommodates your door widths. 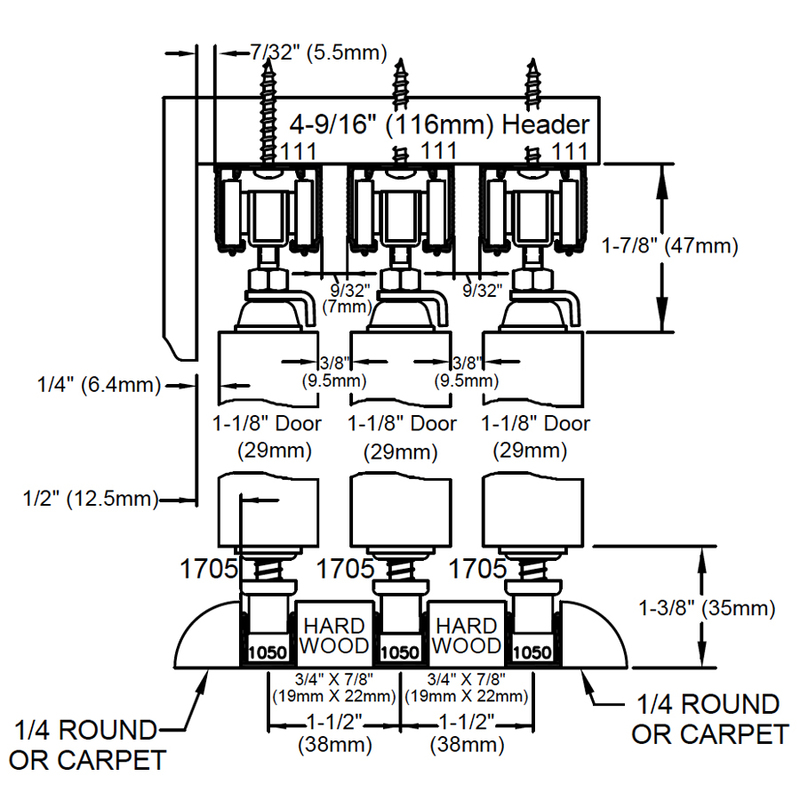 Don't see a hardware set that matches your exact door widths? 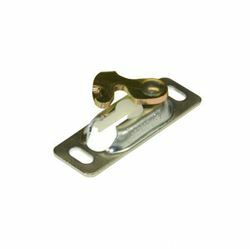 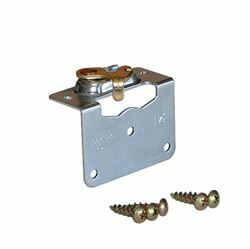 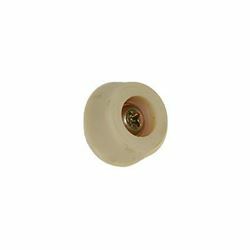 Johnson track can be cut down to accommodate narrower doors by ordering the next longer track length hardware set for your door widths and cutting the track down.